I was helping Sylvia with the wash this weekend when we were both startled by the sound of something clattering out of the clothes dryer. 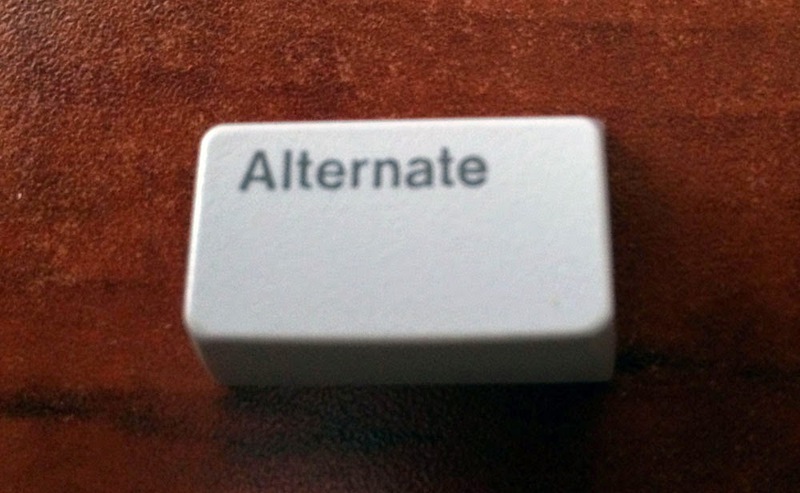 When I leaned down to see what had fallen, I was initially baffled by the sight of an Alternate key - until I remembered that Sean and I had each saved a key after smashing our old Atari computers. I must have saved it in my sweat pants pocket and forgotten about it until the pants and the key went through an entire wash cycle. The key came out spotless, both inside and out - no mean feat, considering it had been sitting in a dark, musty corner of a basement for years. Cleaning keyboards can be a frustrating experience, but the next time that task faces me, I may very well pop off all the keys and throw them in with my next load of clothes. The results are spectacular! I believe many modern keyboards are actually dishwasher safe now, as they tend to be sealed units with the electicals, with the keys pressing on the outside. As they suggest, maybe just pop off the keys and wash those in a mesh bag. The unstoppable march of progress!